This was Boomer’s first night with the new owners at six weeks old. 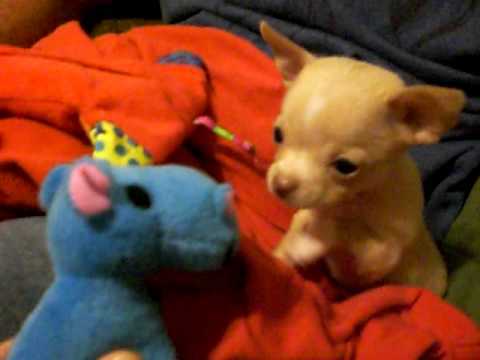 He made friends with a stuffed blue hippo toy. You can see the beginning of his personality with that little throw-back of his head. Now, he does that 100 times when he’s excited. Previous postAdorable girl meets kitten for the first time and cries tears joy!